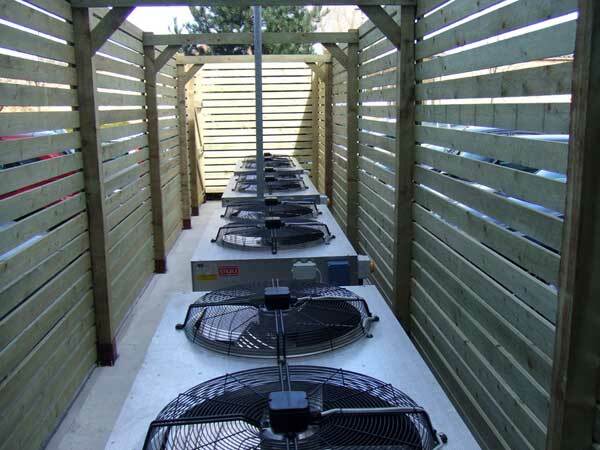 If your commercial property in Bath, Bristol or the surrounding area needs an air conditioning system or new heating solution, you can rest assured that Controlled Climate, our team of certified and experienced technicians take on a host of projects, small or large. Commercial environments can demand commercial-strength air conditioning systems—and Control Climate provides an affordable commercial air conditioning solution. Our certified and experienced commercial air conditioning Bath and Bristol based repair service technicians take great pride in their job, working in a professional, clean, and punctual manner, ensuring that the work is completed on-time, within budget, and brings satisfaction to the client. Most commercial environments are technology heavy, which causes its own set of unique issues. Because of the scale of the environments and the heat-producing equipment, commercial spaces usually require extensive planning before a solution can be implemented, which is why an experienced company with a reputation for providing excellent solutions at the most affordable prices available is needed. And due to the size of the space and heat-producing technology, most commercial air conditioning systems are central duct air conditioning systems as these systems are the only ones capable of handling what is required for the space and the equipment involved. We offer a full design consultancy package as standard, or if you have an external consultant involved in your project, then we can act purely as a contractor. We can advise on the environmental considerations of your installation and advise equipment which qualifies for ECA incentive grants. We are happy to provide tendered prices for large contracts and will endeavour to turn prices around inside a week where possible. Make no mistake about it: no one is productive when they are uncomfortable. After all, a comfortable employee is a happy and more productive employee. So, if the temperatures in your office environment are uncomfortable, you’re not getting the best efficiency from your employees—and you should be. But the temperatures in your office environment don’t only affect employees, office temperatures also affect how well your computers and servers work. Computers, by nature, create a lot of heat; therefore, an adequate air conditioning system is mandatory in any office. Unfortunately, temperature is not the only thing that is affected by the air conditioning system in an office environment—air quality is also affected. If your employees constantly complain about malaise, fatigue, chronic allergies, or colds, it just may have something to do with the performance of your office’s air conditioning system. However, only a certified air conditioning technician can assess the problem accurately. Increase productivity – with your workers and your technology – by using Controlled Climate Limited’s affordable office air conditioning services. Our experienced and certified technicians can help you install, maintain or replace your current air conditioning system with a more affordable solution. Students need a quiet, comfortable place to study, whilst academic institutions need to keep an eye on costs. When students and teachers are uncomfortable, it becomes almost impossible for teachers to teach and students to learn. Providing a comfortable environment, where students and teachers can focus on academics instead of how uncomfortable they are in the environment, allows teachers to do what they do best—teach! What’s worse is that a poor air conditioning system can cause a host of physical symptoms that can also interfere with learning. Some of these include severe allergies, asthma, fatigue, and prolonged colds. If students or teachers are complaining of these symptoms only when at school, the culprit could be your air conditioning system. Additionally, if your current air conditioning system is not working efficiently—it’s costing you money…in lost enrolments, absenteeism and in decreased energy efficiency. For example, did you know that an energy efficient air conditioning system can save your academic institution as much as 30% in utility costs over the life of ownership? Save money by switching to an affordable air conditioning solution from Controlled Climate Limited. At Controlled Climate Limited, our certified technicians provide efficient, reliable, and cost-effective air conditioning solutions specifically designed for academic institutions. Customers of leisure facilities, more than any other type of customers, expect to be comfortable. After all, they are spending discretionary income, so they really expect to be well taken care of—at all costs. Either your facility is extremely pleasurable—or, it isn’t. So, if your facility is running an old, inefficient air conditioning system, or doesn’t have one, you’re risking your customers’ comfort and, more importantly, your business’ profits. And, what’s worse, you’re almost guaranteed to lose those all-important customers to a well air conditioned, well ventilated leisure facility. Air conditioning systems in leisure facilities should serve two purposes: (1) efficiently control the climate and (2) improve air quality by maximizing ventilation. Most leisure facilities require a commercial-grade, but affordable air conditioning system—one that can stand up to constant use; however, one that is also energy efficient. Additionally, because many leisure facilities—such as restaurants, bars, casinos, etc.—have high numbers of customers all at one popular time, there is also a need to improve air quality, further assuring the comfort of its customers. When you’re looking for a reputable company with extensive experience in servicing leisure facilities, look no further than Controlled Climate Limited. Health and beauty salons can get extremely hot because of the equipment, especially the curling irons, flat irons, blow dryers and hair dryers. And, because of the long hours, the equipment is in constant use, creating even more heat. Then, of course, there is the heat created from sun tan beds, etc. With all the heat-generating equipment—it’s no wonder that most health and beauty salons need a high-quality and affordable air conditioning system. The type of air conditioning system that is most common in health and beauty salons are window room air conditioning systems and central air conditioning systems. Window room air conditioning systems are great for small salons with moderate cooling needs; however, if the salon is large or requires significant cooling, central air conditioning is best. When choosing the perfect air conditioning system for your salon’s needs, it is important to discuss usage and needs with a reputable company and qualified technicians. So, when you are looking for an affordable air conditioning solution for your health and beauty salon, Controlled Climate Limited can help you keep your customers comfortable. After all, a happy customer is a paying customer. As the owner of a retail establishment, you know how significant comfort is to your customers. When customers feel good about the establishment, they are comfortable—not only spending more time in your establishment but more money as well. Studies have shown that the more relaxed a customer is, the more they will spend. A pleasurable shopping experience can be achieved by something as simple as a controlled climate. And, with so many affordable air conditioning systems to choose from, there is no reason why your customers should be uncomfortable. But your customers aren’t the only ones affected by ineffective air conditioning systems. Your merchandise and employees are also affected. When employees are hot and uncomfortable, the last thing that is on their mind is selling your product. Instead, they are focused on how miserable they are. And, depending on the types of products you sell, your merchandise can be affected as well. Increase profits by giving employees and customers the pleasurable experience they demand—call Controlled Climate Limited for an affordable retail solution. Our certified service technicians can provide cost-effective air conditioning services, usually in the same day, depending on our schedule. All air conditioning equipment supplied by Controlled Climate Limited carries a minimum of 3-years warranty, subject to maintenance, and the manufacturers we use have a full spares backup for peace of mind. If you would like to discuss your air conditioning requirements, please contact us. We look forward to talking to you. © 2019 Controlled Climate. All Rights Reserved.